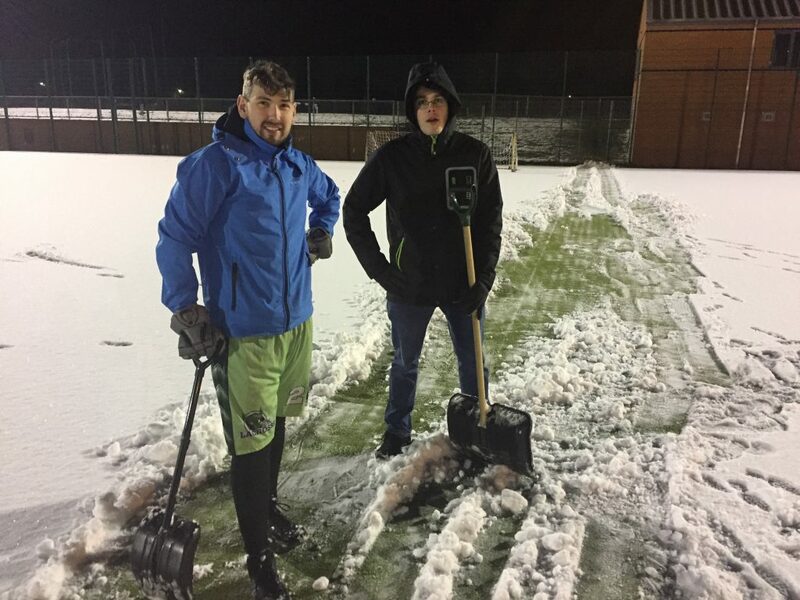 For six MK players, the game started on Friday night as we cleared the snow from the Stantonbury astro. We thought it would not take too long. Oh how we were wrong. The photo below was taken after about 20 minutes. We had partially cleared about a 50 sq metres. Only another 5950 sq metres to go !!! We needed to finish the job we had started. Southampton had confirmed they would travel up. There was no turning back now. 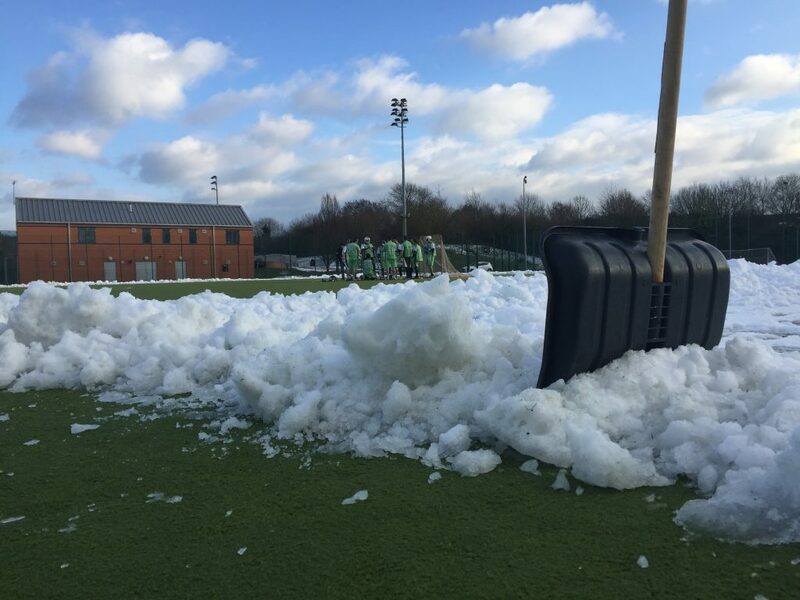 An executive decision was made to clear a slightly smaller pitch. After one hour we had cleared about 1/4. After two hours, it started snowing again (!!! ), but thankfully stopped. After three hours, now 10pm, the Stantonbury staff came to close the astro and lock-up. We had cleared almost enough to play a game, but would need to come back early in the morning to finish off. Massive thanks to Rob, Matt, Corey, Brett, KyleP and Paul for their Friday night effort. Corey arrived first on Saturday, followed by Rob, Aaron and a couple of others. As well as some small areas still covered in snow, the problem now was breaking down larger chunks of snow and ice so that there was a chance the winter sun would melt what was left. Aaron went all ‘Game of Thrones’ down each side of the pitch shaping a snow wall. At the last minute we remembered to clear a bench area for subs. 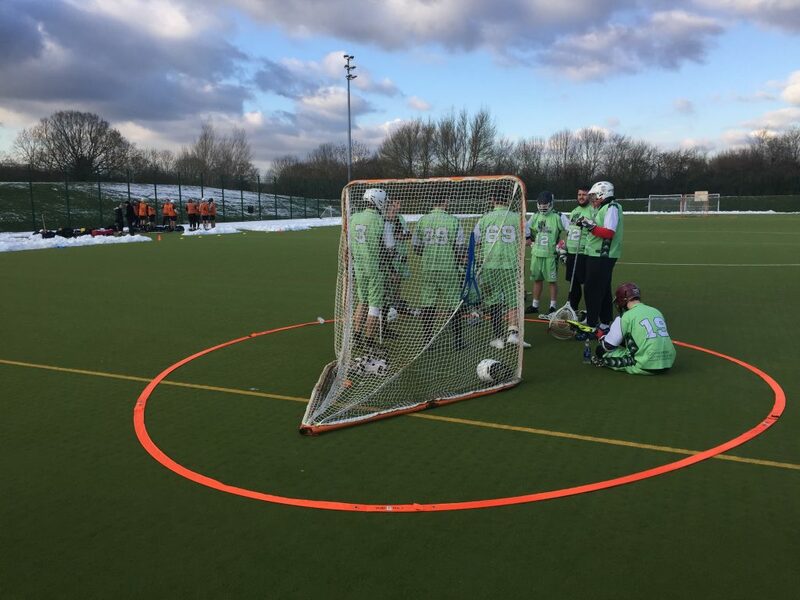 As both teams warmed up, Dan’s Dad kept on shovelling and by 2pm we had a perfectly green just-big-enough lacrosse pitch surrounded by snow. The game started and both teams quickly adjusted to the smaller pitch size. MK scored first from defender Aaron Day, surging up field, and when nobody challenged him, he unleashed the power of the 6′ defensive stick and stuck the ball low into the net. From there MK went on a mini roll with two nice goals from captain Corey and vice Matt. Southampton pulled one back from a power-play to end the first quarter trailing 3-1. The second quarter was all MK who scored four unanswered goals. The last was a beauty from Brett. Jack had the ball behind the goal. He drifted to one side, was not challenged so had time to find the right pass. Brett, playing in midfield today, opposed to his usual attack role, had the awareness to realise Southampton were ball watching. He timed his run towards the goals to receive Jack’s pass and shoot in almost one motion. 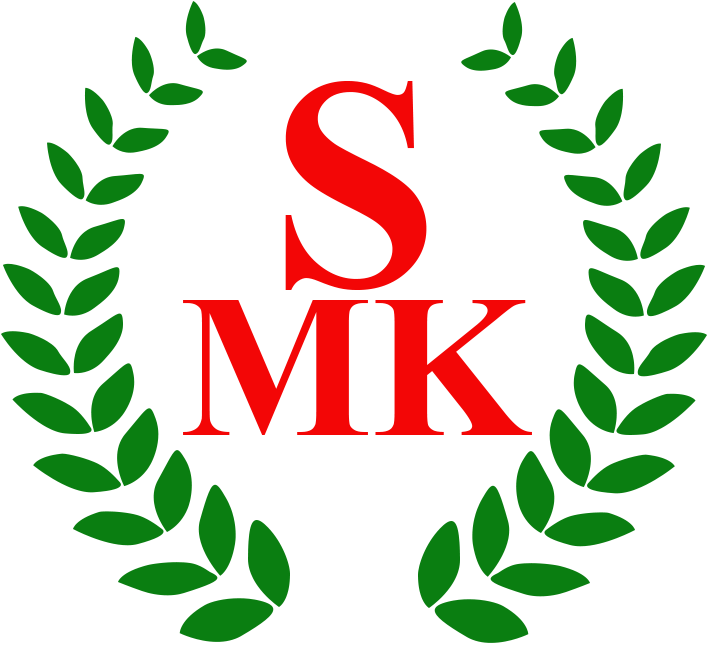 MK were now leading 7:1. I’ll skip the third quarter, as both teams only scored once and move to the final 20 minutes. MK were now dominating, scoring 5 more goals. Southampton will be disappointed in their performance. We could see their potential but too many unforced errors hurt them and they never really got going. Jacob scored two rockets late on, followed by Jack finally getting a clear shot on goal, then to cap his top-scorer day, Matt Sawyer scored his 6th goal inside the last minute. The man-of-the-match vote went to Jacob’s younger brother Laurence. He had a very solid game in midfield, making no unforced errors and showing real improvement game-by-game. The other vote went to goalie Eliot Pugh. During the period of MK attack, he decided the build a snowman behind the MK goal. We’re gutted we didn’t get photo evidence of his artistic creation. 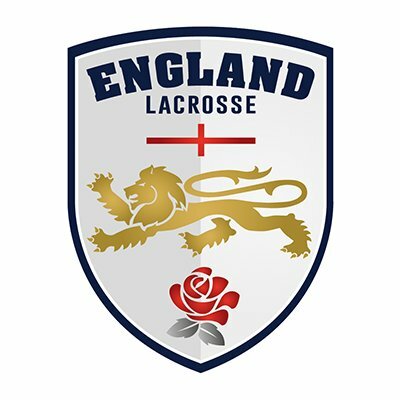 As a Flags (cup) game, MK now move to the of the Minor Flags quarter finals, to face an away game against the winner of Exeter vs Welwyn 2’s.